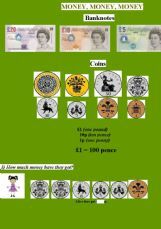 Here you can find some explanations and exercises about British money. 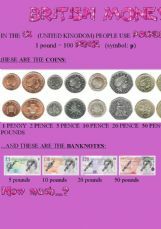 Money - How much is / are the...? 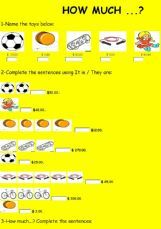 If there is any mistake in the grammar or design of the exercises, please let me know so as to make the convenient changes. 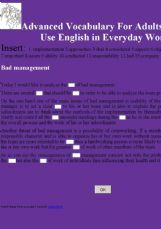 This material is meant to foster the wocabulary necessary in everyday life if a person uses English as an official or has to work with business literature. 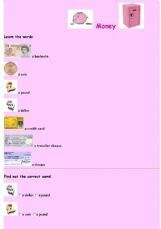 An OE exercise based on the SONG "Money for Nothing" by Dire Straits - topic: money. 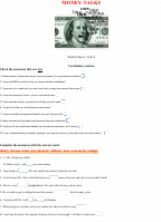 gap filling + multiple choice exercises. 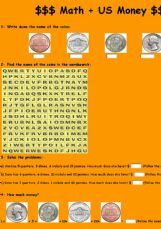 Listen to the document and complete the text.